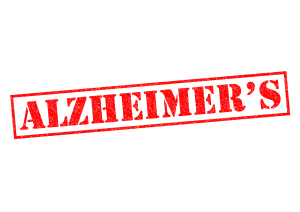 Alzheimer’s disease does not just happen to elderly adults. People under the age of 65 may even begin to exhibit some symptoms that should not be ignored. However, since these younger adults do not think Alzheimer’s disease can happen to them, they often overlook their blatant, worrisome symptoms. By knowing what to look for, you and your parent will be able to tell if this is a health problem you should be concerned about. Disruptive memory loss. A little memory loss is a typical part of aging and is usually nothing to be concerned about. For example, forgetting an appointment but remembering later on is normal. However, if the elder is relying too much on the use of notes and other reminders to prevent them from becoming forgetful, then this could be a serious problem. You should also be concerned if they are asking for the same information multiple times or are forgetting important dates and events. Unable to plan or solve problems. Working with numbers, such as paying bills, or following recipes will become increasingly difficult for the senior to do if they have Alzheimer’s disease. They will also have trouble focusing for extended periods of time. Unable to complete everyday tasks. Driving to familiar locations, remembering the rules of their favorite game, or managing a budget will be extremely challenging. Trouble understanding visual images. Judging distance, determining color and contrast, and reading may especially become difficult for someone with this disease, making it dangerous to have them drive. Forgetting the time and place. They may begin to lose track over the date, year, season, or passage of time. This is especially true if an event or important date is not happening immediately. Problems communicating thoughts and feelings. Someone with this disease will have trouble finding the right words in a conversation, even if it seems like it is at the tip of their tongue. They may also stop in the middle of the conversation or repeat themselves. Lack of judgement. Making decisions or judgement calls is extremely difficult for someone with Alzheimer’s disease. They may agree to give large amounts of money to telemarketers without thinking clearly about it. Frequently misplacing things. The elder may begin putting everyday items in unusual places, like car keys in the freezer. Withdrawn from social activities. They may no longer want to participate in hobbies and activities that used to bring them joy. The senior may even isolate themselves from family members and friends, preferring to be alone instead. Shift in mood and personality. The elder may become increasingly agitated or angry. Older adults with Alzheimer’s disease can still live full lives for many years, but may need assistance from a senior home care provider. For Home Care Services in Germantown TN, please contact the caring staff at Personal Care Services MidSouth today! This entry was posted in Home Care Germantown TN and tagged Home Care Germantown TN. Bookmark the permalink.